To check our actual offers in Milan, please use the white form above. Just enter the desired dates, time and pick-up/return location. The most recent car booking in Milan has been made on our website 4276 minutes ago.. 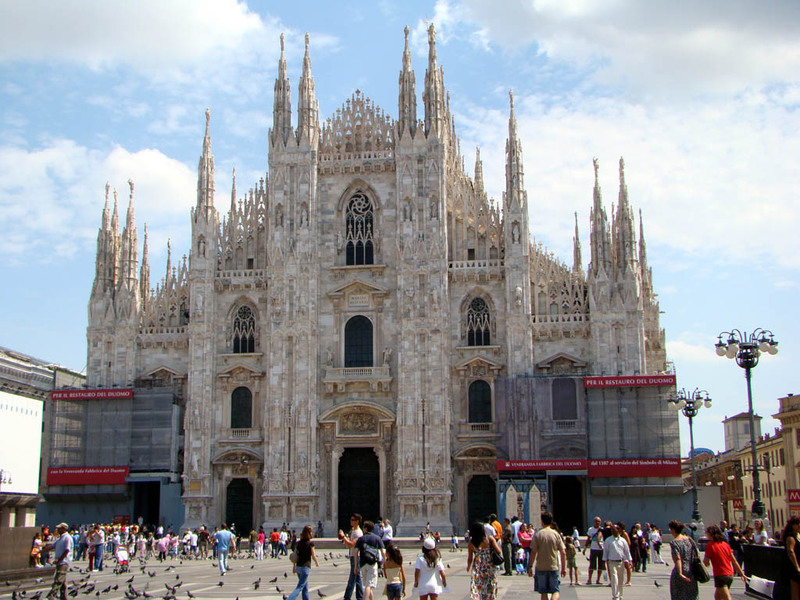 In Milan, we offer for rental 11+ car categories from 68+ rental suppliers. OrangeSmile provides one of the lowest rental prices on the worldwide market. You can save on your car hire in Milan even more: (1) by renting your car purely at an airport with the pick-up/drop-off at daytime; (2) by keeping the pick-up and return at exactly the same rental location in Milan; and (3) since rental prices in Italy are computed based on 24-hour interval, try to match this period and return your car just before your last 24-hour period expires. Additional saving can be achieved by making your reservation few months in advance. Rental rates in Milan increase as the rental date is approaching. To avoid financial risks in case of an accident or a theft in Italy, we advise to order an insurance package with the full franchise coverage (Zero Excess). You can do it directly at the rental desk in Milan, or during your booking time on our website. Before visiting your rental office, prepare all the required papers that are specified in your voucher, plus, a printed map of Milan. Pile the documents together to act quickly at the rental desk during pick-up. Do not forget to examine the car conditions prior to leaving the rental parking in Milan: wheels, windows and chassis for scratches and other defects. Check against your rental document whether all the defects are already specified. Rental offices in Milan are sometimes strict on delays in car return, therefore, always try to bring the car back to the rental office at the specified time. Explore Milan and Italy to the maximum, having your rental car as your friend always near! Fans of meat dishes have an opportunity to try one more Milanese specialty – “cotoletta alla milanese”. This dish contains veal ribs cooked in a special way. The raw meat is thoroughly tenderized to make it juicy and delicious. Then it is fried in breadcrumbs and butter, so the meat has an eye-catching crispy crust. When exploring markets in Milan, travelers will be able to try popular Lombardi cheese that has long become one of the best in whole Italy. This is the homeland of gorgeous Gorgonzola and internationally famous Grana Padano cheese. Many restaurants in Milan offer cheese plates that include the most popular varieties of local cheese. Some varieties are actively used to cook pasta, risotto, and various salads, and some cheese in an essential ingredient of popular desserts. Milan citizens like Gorgonzola with the honey topping as a dessert. Travelers, who are lucky to visit Milan during the Christmas holidays, should not forget to try Panettone. This is the name of the traditional Christmas pie that is, actually, a sweet bread loaf. Panettone contains almonds, raisins, candied fruits, and chocolate. The ready pie has a sweet Mascarpone topping. During the holiday period, it is possible to buy Panettone in all markets and supermarkets in Milan.